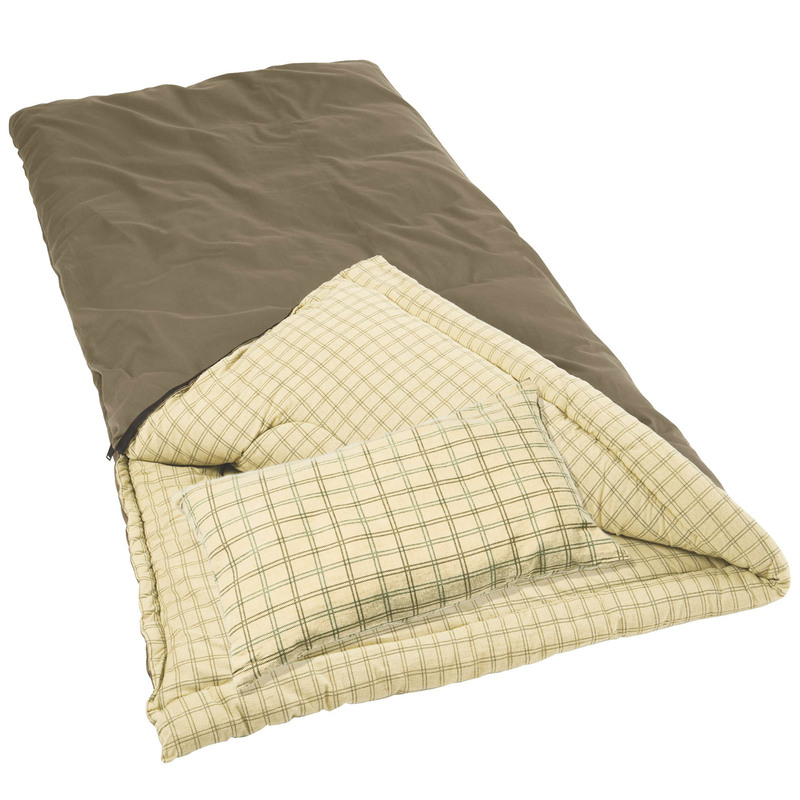 Sleep comfortably, even when it’s 0⁰ degrees outside with the Coleman® Big Game™ C-6 (Big and Tall) Sleeping Bag. 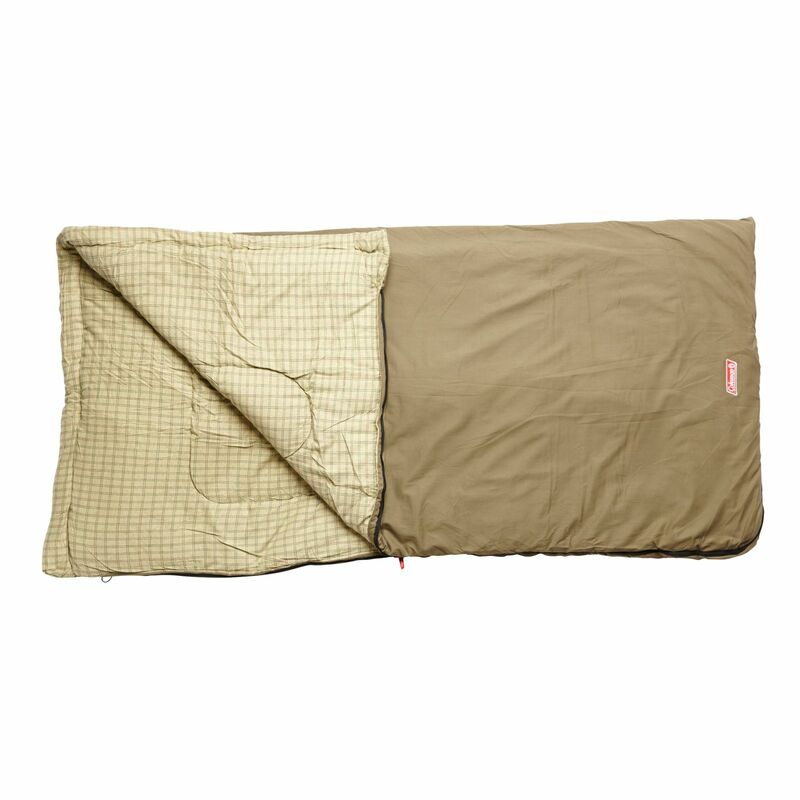 With its lush cotton canvas cover and cozy cotton flannel liner, the full-cover construction locks in the heat by eliminating quilting cold spots, making it perfect for extreme weather sleeping. 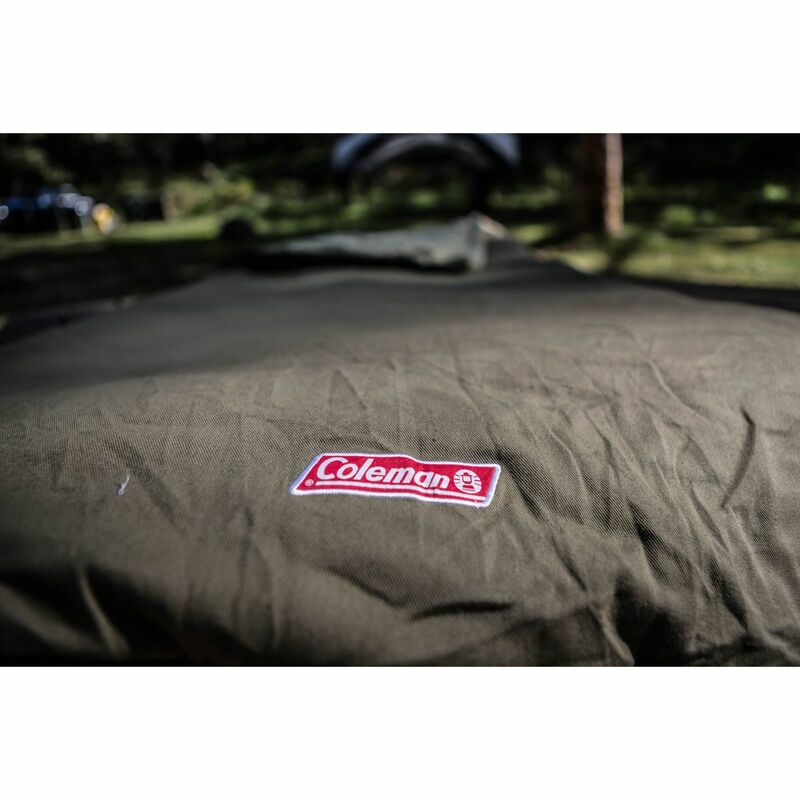 The Coleman Big Game Sleeping Bag specially-designed, patented zipper system plows fabric away from the zipper every time to avoid snags. The Comfort Cuff™ feature surrounds your face with softness when you sleep and the Thermolock™ System reduces heat loss through the zipper. 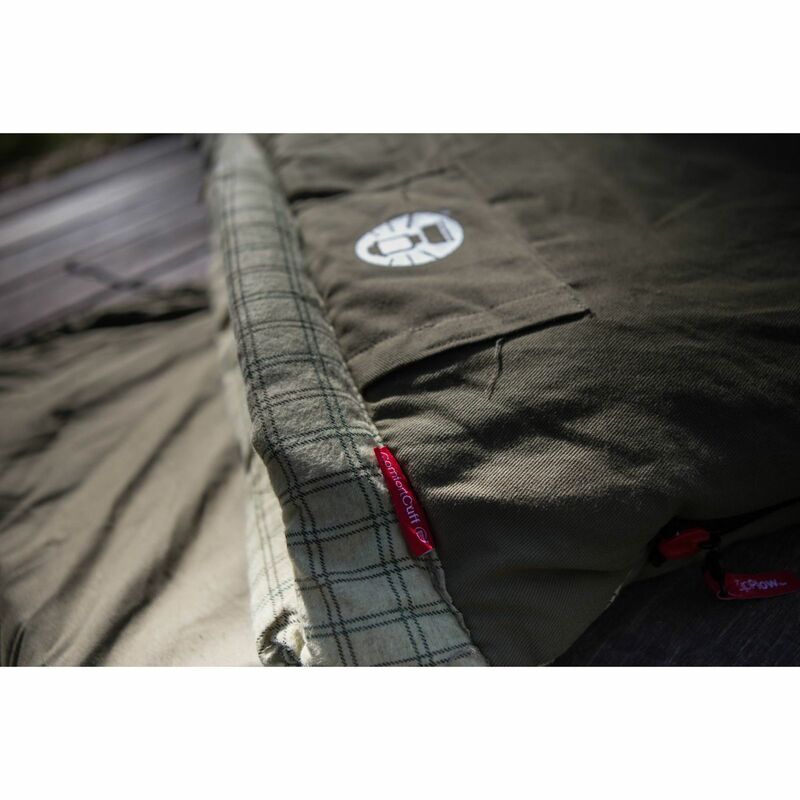 Fiberlock™ construction prevents insulation from shifting, extending the life of your sleeping bag. 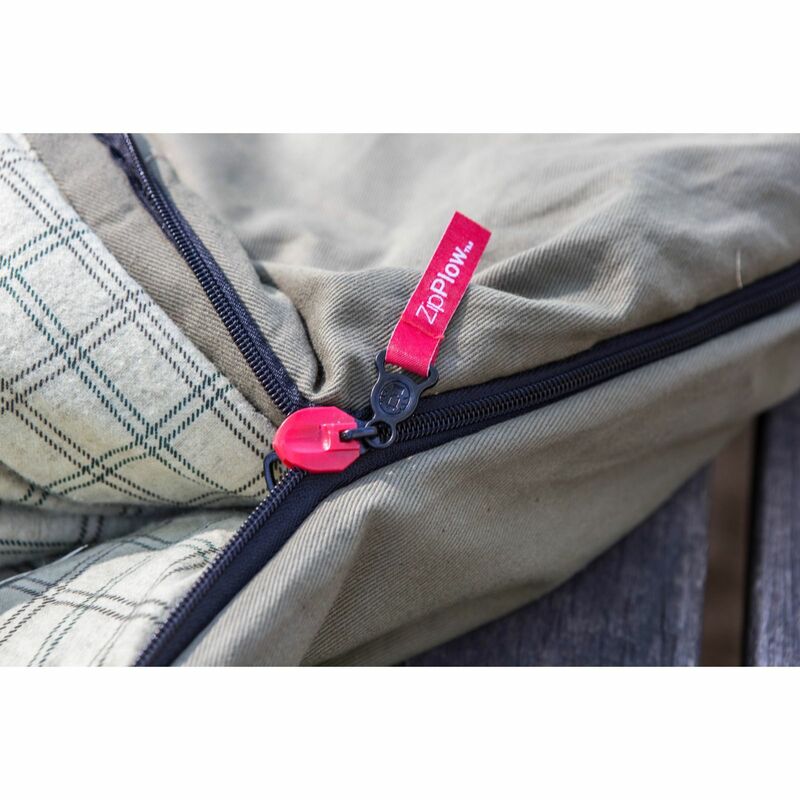 When you’re ready to pack up, our patented Roll Control™ System keep the bag in place for easier rolling and the Wrap ‘N Roll™ integrated packing system makes storage a cinch. 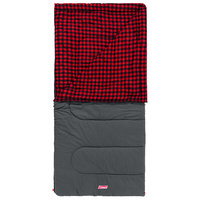 The bag is machine washable and comes with a matching flannel pillow. 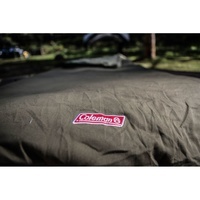 Coleman sleeping bags offer a temperature comfort rating as a guide to the suitability of our bags. 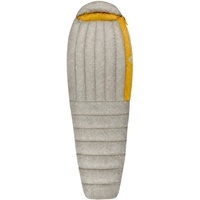 When considering a sleeping bag note that the temperature guide is an indicator of the lower limit of comfort. Choose a bag that offers you a rating suited to the conditions in which you will be campingg. You should always aim to be too warm than too cold. 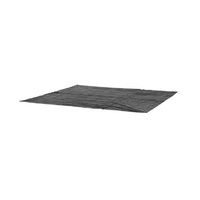 I bought this to use on the single bed in my van. 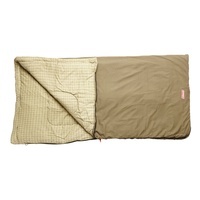 Previously I used an ordinary doona, but it kept falling off during the night. I've now used it on one 7-night expedition. 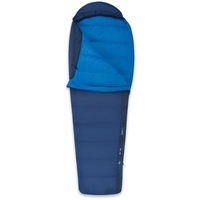 (a) It doesn't fall off because it is a sleeping bag. 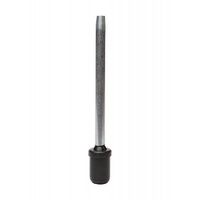 (b) It doesn't feel restrictive because it is enormous. (c) I can run the zip up either side because it has no hood. (d) It is wonderfully soft, warm and cosy. (e) It's exactly what I was looking for. Very happy with it. 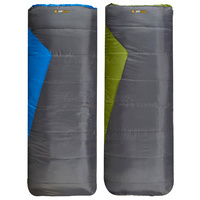 Bought 2 sleeping bags - one for my partner and I on discount so super happy. 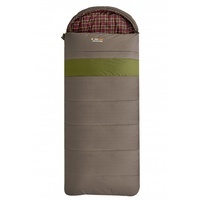 Really large sleeping bags and extremely comfy, the zipper does jam sometimes. I did read that with other reviews before purchasing but not a big issue just try zipping it up slowly. Thought not having a hood might be an issue but a beanie works fine. It's advertised as comfort rating -6C, for a female this wasn't accurate for me, I still had long sleeves thermals, another long sleeved top and long sleeved flannel pjs and it was only around 7C and I could have been warmer. My partner on the other hand (minus the thermals) was fine though. My least favourite part is packing it up at the end of the trip, it's difficult getting it back into the black bag, I guess because it's puffy and different material. I would still highly recommend to purchase! 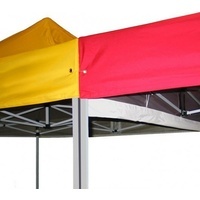 Probably my only little gripe was with the courier company, bags were dispatched straight away from Great Escape camping (thank you), they arrived in Sydney Tuesday 8.40am yet we didn't receive them until late Thursday afternoon. Think I was a little too eager to receive them! Definitely recommend. Great value, very large and extremely warm and comfortable inner material. Worth the purchase. 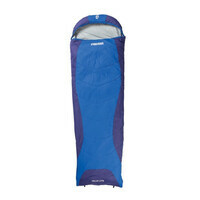 Honestly the most roomy comfortable sleeping bag ever. I bought a second one today because the kids have claimed my original. It's simple really. 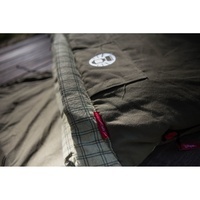 A top quality sleeping bag that does all it promises. Nothing more to say.